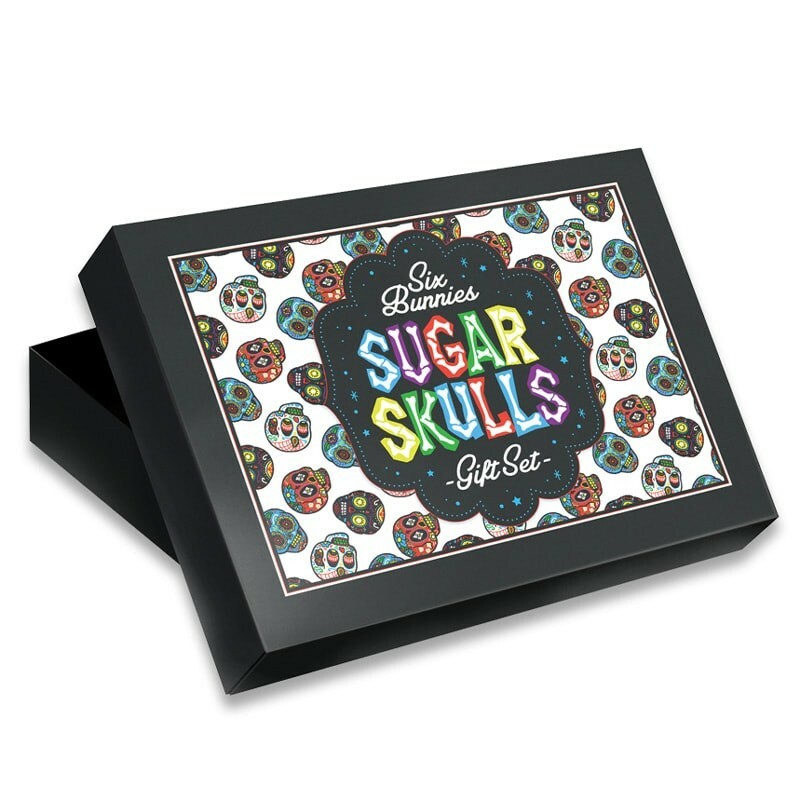 Baby gift box set Sugar skulls on white. The baby gift set includes 1 body, 1 dribblebib and hat. A fun and colorful set with a rocking touch. Bright colorfull sugar skulls on white background and light blue trim. The perfect gift to surprise! The three pieces are made of soft 100% cotton. Rock-style baby gift set for real rebels. We have 3 different sizes, if you have doubt between two sizes choose the largest. Size 1: from newborn to 3 months - breast contour from 40 to 50 cms - for babies from 2.5kg to 5kg. approximately. Size 2: from 3 months to 6 months - chest contour from 45 to 56 cm - for babies from 4.5 kg to 7 kg. approximately. Size 3: from 6 months to 12 months - breast contour from 56 to 60 cm - for babies from 7 kgs to 11 kgs. approximately.